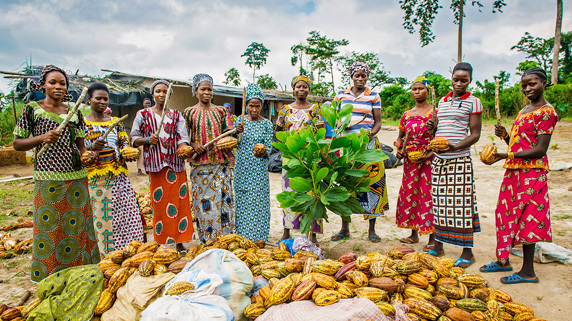 Nestlé and the Fair Labor Association have established women’s fora in two cocoa growing communities in Côte d’Ivoire. Find out more about how we measure and report our Creating Shared Value, sustainability and compliance performance across our impact areas. Our commitments hold us publicly accountable for our performance, and we report on them every year. All commitments are directly aligned with our business and our 2030 ambitions, and many directly support the UN’s Sustainable Development Goals. We are proud when our sustainability efforts and achievements are acknowledged by world-leading ratings and rankings agencies. We work hard to ensure our marketing of breast-milk substitutes (BMS) complies with the Nestlé Policy and Instructions for Implementation of the WHO International Code of Marketing of Breast-milk Substitutes (pdf, 128Kb) (the WHO Code). We are strongly committed to transparency, and report regularly and publicly on topics related to compliance with the WHO Code. We engage an independent third party to provide independent assurance for the data included in this report. Our environmental performance indicators help measure our progress and demonstrate compliance. They are aligned with our Creating Shared Value commitments and the external schemes we report against, including the GRI Standards guidelines and indicators.